★★★★★ 5 STAR charlotte roofing company and exterior solutions. Over 30+ years the "Right Way"
In 2006, the General Assembly appropriated $222 million plus toward the repairs and renovations of ECSU, NCCU and UNCA (1). The allocated funds included $600,000 toward roof replacement at the UNCC for Public Television Bryan Center and an additional $75,000 earmarked for network-wide UNC roof repairs Charlotte. The funds also supported improved energy conservation measures, renovations of various classrooms and support facilities and improvements to the General Administration electrical infrastructure. 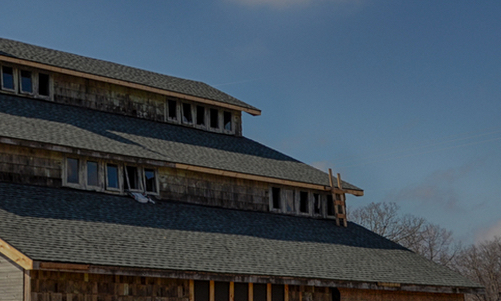 When repairing historic Charlotte roofs – even an old barn – most owners prefer to retain the original look and feel. From wooden shingles to slate and from shingles to metal, historic agricultural structures run the gauntlet in roofing materials. Maintenance is critical to keeping a watertight barn roof. 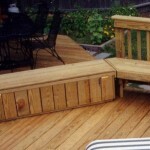 When kept dry, those old pine rafters, roof boards, framing and floors seems to last forever. But failure to preserve the roof ensures that your historic Charlotte barn ends up making a somewhat large scrap pile. 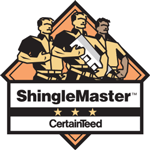 1941 to Present – Asphalt shingles and current fabricated metals (2). 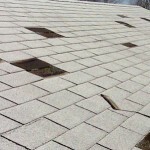 It may be that your historic roof has already deteriorated beyond reasonable maintenance or roof repair options. If correctly maintained, slate and metal roofing materials tend to last for ages. But sometimes roof replacement is the best choice. To retain the historic look and feel, stick with the original roofing material type. It may be cheaper to installed corrugated fiberglass roofing sheets, but it will never reflect the historic character of an old wooden shingled roof. Whether on your home or on your historic barn, yearly roof inspections ensure a watertight surface. Unless experiencing roof leaks or other roof problems that demand the attention of a professional Charlotte roof repair company, you can handle the standard inspections without ever needing to climb a ladder. Unlike the roofs on houses, barn roofs are generally free of any hidden areas. Inspection can be as simple as using binoculars to scan the outer surface of the materials. The process is simple: Going row by row, scrutinize overlaps, flashing, ridges, eaves and intersecting walls. Follow-up the external scan with several inside walk-through inspections. Use the sun to your advantage when trying to spot pinholes of light. Use the rain and the snow to spot the difficult leaks. Look for water stains, loose flashing and rust where rust is a factor. Contrary to the whispers of the industry: It is not inevitable that a roof will leak, need repair or require replacing during your lifetime. Well-maintained metal and slate roofs can last for generations. But that is the problem with historical roofs: They have been around for generations. Can you still find a Charlotte roofing contractor with the skill to repair your historic roof? Explore the options. When possible, retain the character of your historical structures. House, barn or any other legitimate structure, Right Way Exterior Solutions, LLC is always ready to help you with your Charlotte roof repair, roof replacement or roof installation. For more information, click here. By submitting a comment you grant Charlotte Roofing Company | RWES local roofing company and exterior solutions a perpetual license to reproduce your words and name/web site in attribution. Inappropriate and irrelevant comments will be removed at an admin’s discretion. Your email is used for verification purposes only, it will never be shared.